CDO Ulam burger is a yummy beef burger that comes at an affordable price. Made from high-grade beef, blended with the finest spices, and packed in special dishes to protect its form and ensure freshness, these patties easily translate to complete burger satisfaction. 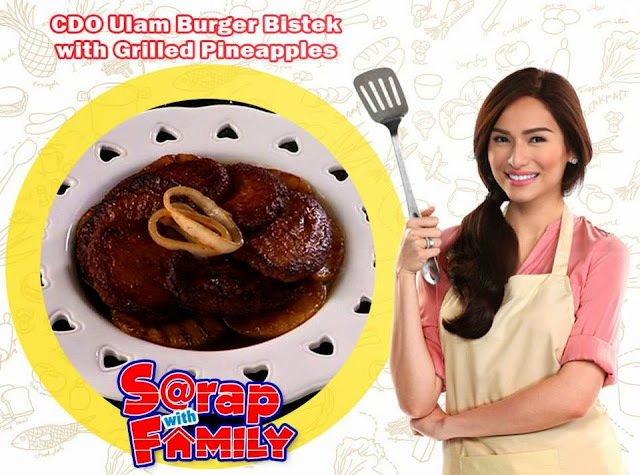 Served in a bun or with rice, consumers will surely enjoy a superb meal with CDO Ulam burger. Moreover, with its affordability, CDO Ulam burger easily fits the budget of entrepreneurs and foodservices. 1. Heat grill pan then grill pineapple rings and white onions until lightly caramelized then set a side. 2. On the same pan, heat oil and pan then lightly brown CDO Ulam Burger. 3. Add in water, pineapple juice, calamansi juice, and soy sauce, simmer for 5 minutes then add in grilled pineapples and onions.